0.1 Why Should You Choose RINNAI Tankless Water Heater? Established in 1920, Rinnai Company was originally a seller and manufacturer of cooking stoves which use pressurized oil. The Rinnai Company was founded by Hidejiro Naito and Kanekichi Hayashi who decided to venture in gas appliances back in the 1930s. It wasn’t until 1964 that this company started designing water heaters. It’s North American operations started in 1974. Today, Rinnai has more than 30 million tankless water heaters which have been installed all around the world. If that’s not all, Rinnai tankless water heater’s feedback shows clearly that the brand has come to be synonymous with innovation and quality. 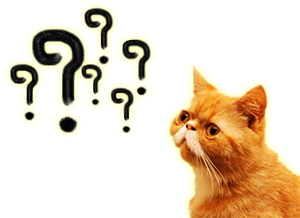 Why Should You Choose RINNAI Tankless Water Heater? 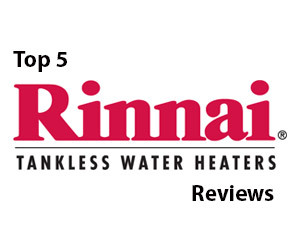 In case you’re shopping for tankless water heaters, then there’s no doubt that Rinnai is a well-known and established a brand that you’ll come across. Following the principles of the tankless water heaters, their heaters provide unlimited supplies of hot water anywhere and anytime within the household. With Rinnai tankless water heaters, the family members can always shower, wash loads of laundry or even do the dishes without ever worrying about the hot water running out. Unlike the traditional tank heaters which constantly heat and store water, the Rinnai tankless heaters only heat water when it is required. As a result, a reduced amount of energy is consumed which translates to low energy bills. 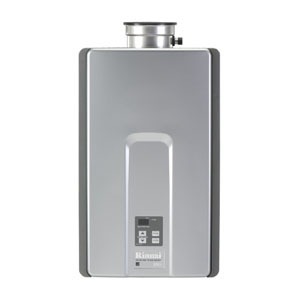 For instance, the Rinnai RLN4i water heater has an estimated annual energy cost of 201 dollars. This is dramatically lower than the 585 dollars that you would expect to spend on the traditional 40-gallon electric water heater. The traditional tank versions are mostly massive in size and they usually take up considerable floor and wall space when installed. This could be a problem in case you have limited space at home. Approximately the size of the carry-on suitcase, the Rinnai tankless heater can fit conveniently in spaces which a regular heater can’t fit into – like narrow corners, the closets or even under the sink. Lastly, Rinnai is also well-known for its durability. In general, tankless heaters are expected to have two times the lifespan of a traditional tank unit. With the right maintenance and installation, a Rinnai tankless heater is capable of lasting for up to 20 years. With so many models of Rinnai water heater in the market, it can be challenging to pick the right model that suits your needs. However, you do not have to worry anymore, since we have simplified the task for you. Nowadays, tankless water heaters become more popular as the demand for more efficient home appliances has increased. A wide range of brands being manufactured by different companies is competing on the market. 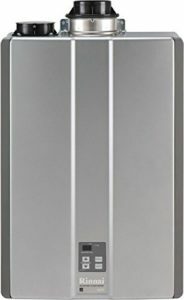 Experience the never-ending fresh hot water supply, a sleek and sculpted water heater’s design with the Rinnai RL94IN natural gas tankless water heater. Whether you’re building a relatively spacious new home or you are just remodeling your old home, Rinnai LS heaters can always be used in pairs, individually or even banks of 3 or more so as to supply your entire home’s hot water needs. LS Series units can be literally placed in any type of room, vent them to the outside directors and they also have the integrated condensate collectors. Its exterior-mount units do not require additional venting. In addition, they can as well be installed in recessed enclosures, then textured or painted so as to match with your home’s exterior design for a clean and inconspicuous appearance. The heater contains the commercial-grade heat exchanger for optimal durability. Homeowners will also get to enjoy the reliability of the commercial-grade construction and the 12-year limited warranty industry. 9.4 GPM: in terms of delivering hot water, Rinnai RL94IN is really efficient. It can provide 9.4 gallons of hot water per minute. Isolation valves: The heater also comes with the included isolation valves that ensure professional as well as serviceable installations. Digital monitoring: It allows for digital monitoring, troubleshooting and temperature control. Temperature ranges from 98F to 140F with the standard MC-91 controller and 98F to 185F with the MCC-91 commercial controller. Significant space savings: The design of the heater is sleek and modern, with a sculpted cover and silver finishes. Therefore, unlike the tank-style heaters, it saves a significant amount of space. Cons: The Rinnai RL94IN needs a special kind of vent pipe for venting and it does not come with the unit. Other than that, this unit is truly remarkable. This unit has been proven for reliability and great support. You should keep this into consideration while shopping for the best tankless heater. Do you need an endless amount of hot water that’s enough for doing laundry, dishes as well as taking a bath all at the same time? Then the Rinnai propane Tankless Water Heater is just the perfect heater to give you the peace of mind that you have always desired for. Available in 3 models, the Rinnai propane Heater is suitable for small as well as mid-sized homes. Rinnai’s new Condensing Tankless Heaters also offer all the benefits that builders and homeowners expect from Rinnai. With the Rinnai propane tankless water Heater, you can never run out of the hot water at any time. 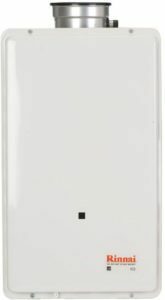 Energy Factor of .82: Delivering an EF (Energy Factor) of .82, the Rinnai tankless condensing unit is ideal for both commercial and residential applications. Standard MC-91-2US controller: The temperature can be controlled with the standard MC-91-2US controller. The temperature ranges from 98F to 120F. Cons: you might face some challenges while installing this heater in your house. But once you’re past that point, it will provide you the service for which it is famous. This allows you to enjoy the space-saving, ease of installation, convenience and the peace of mind which The Rinnai is famous for. Rinnai RUC98iN offers a very attractive look. This water heater also has innovative and technologically sound water heating solutions for indoor usage. 95% thermal efficiency: the energy factor it provides is up to 0.95. That is as high as a water heater can reach. And it is applicable for both propane and natural gas installation. Flexible venting options: It’s a space-saving, compact, sleek and energy efficient heater which offers flexible venting options; for both twin pipe and concentric installations. Multiple venting options are available including PVC and CPVC using Ubbink Concentric to the Twin Pipe adaptor allowing for easy installation. 9.8 GPM: Efficiency-wise, the heater is superior as compared to other gas powered models with a flow rate of 9.8GPM. Temperature Locks Function: Temperature locks function which prevents any unauthorized changes to the heater’s temperature. Cons: operating cost of Rinnai RUC98IN is relatively higher than other tankless water heaters. But it is a very small price to pay for such an amazing heater. For indoor usage both in residential and commercial areas, the unit is ideal since it supplies endless amounts of hot water. It is equipped with all necessary trappings of any tankless water heater. The Rinnai RL94iP is capable of supplying hot water to more than 25 separate outlets continuously while also keeping a consistent temperature. 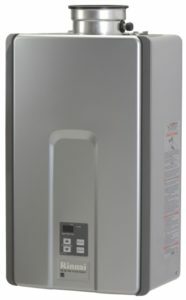 This tankless water heater can provide considerable energy savings which can reach a reduction level of as low as 40%. Due to its high volume, the unit is ideal for the larger residences. 9.4 GPM: This tankless water heater is capable of supplying 9.4 gallons in every minute and it can also be fitted for either commercial or residential use. MC-91-1US Digital Controller: Its temperature normally ranges from 90 degrees F to 140 degrees F for residential use and 90 degrees F to 185 degrees F with a commercial controller. Concentric venting system: Another cool feature of this unit is that it vents directly to the outside. Cons: This unit is not suitable for extreme cold weather. No others found yet. This is an amazing unit if you have a gigantic house. In addition to the high capacity in terms of volume, the model also features a high capacity in terms of the number of outlets that it can service. The water heater comes with the standard 5-year warranty and it’s constructed using the same high-quality materials just like the other Rinnai water heaters. This is very easy-to-install and ultra-compact heater which will let you enjoy all benefits of the Rinnai tankless water heaters. You will experience clean and reliable hot water supply at a consistently pre-set temperature. 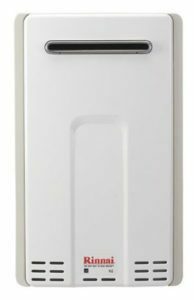 6.6 GPM: Rinnai’s V65E tankless water heater is capable of efficiently delivering up to 6.6 GPM (Gallon Per Minute) of the hot water. If your home has 1 or 2 bathrooms, this is the perfect product for you. Lower Nox emission: This cool looking water heater serves the California and Texas Nox emission standards. It makes this heater more reliable and eco-friendly. Max BTU’s 150,000: This heater can achieve as much as 150000 BTU (British Thermal Unit). It only shows how efficiently Rinnai V65IP works. Cons: This unit is non-refundable. This might bug some people a little, but you should not worry about it since this heater is amazing in terms of longevity. This also avoids water wastage thus helping you in saving. All these features make this heater one of the best heaters of this brand. Rinnai Tankless Water Heaters are designed to heat that water as you need and when you actually need it by turning any source of water into hot water as demand arises. With Rinnai water heaters, hot water isn’t limited to the amount of water that storage the tank heater can hold. Whether you’re washing dishes, washing the clothes or even drawing a hot bath, the Rinnai’s tankless water heater technology will definitely provide you with endless supplies of hot water so as to meet all your lifestyle demands. These are great tankless water heaters for anyone due to their wide range of features. Get yours today and enjoy a first-hand experience from one of the best tankless water heater brands in the world.